Muzaffargarh is an old and important District of Punjab Province and known for its educational/ academic institutes, mango and other agricultural products, Power Houses and Oil Refinery. A number of offices of the Provincial and Federal Government are functioning in the district and providing services to the people and implementing policy of the Government which is aimed at making the district stronger in economical, social and political affairs. Muzaffargarh hardly possesses any distinct annals of its own. However, what is available in the history books indicates that the Town of Muzaffargarh was founded in 1794 by the Pathan Governor Muzaffar Khan, who migrated to this area along with other members of his family from Afghanistan when the Durrani Empire superceded that of Dehli in North-Western India. Nawab Muzaffar Khan was posted as Governor of Multan under the Durrani dynasty. He constructed a wall surrounding main Muzaffargarh Town and gave this place his name. 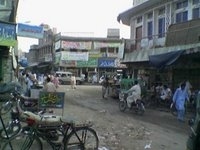 The “word” Muzaffargarh literly means the abode of Muzaffar. It is formed by the grammatical process of affixation. With the advance of time, the Muzaffargarh Town fell under the control of one or the other Rule till the East India Company also extended its authority over it. The District is situated at a distance of 35 K.M in the West from Multan across the River Chenab. On the North, it bounded by Chaubara Sub-Division of Layyah District, the West by Dera Ghazi Khan District and on the South-West by Bahawalpur and Rahim Yar Khan Districts. The district is also surrounded on its Eastern and Western sides by the river Chenab and the Indus which flow at distance of 08 and 35 K.M respectively from the main town. Muzaffargarh district was created in 1861. This District comprises four Tehsils namely, Muzaffargarh, Kot Addu, Alipur and Jatoi. Its area is about 20,52,571 acres or 8249 Sq KM (400 Meter above sea level and population is 36,00,000. Total villages are 1281 in the district and 93 Union Councils. 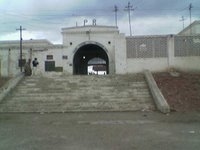 TEHSILS, POLICE SUB-DIVISION AND POLICE STATION. A site for all the Muzaffargarhees. Please come and tell about Muzaffargarh or even about your self.